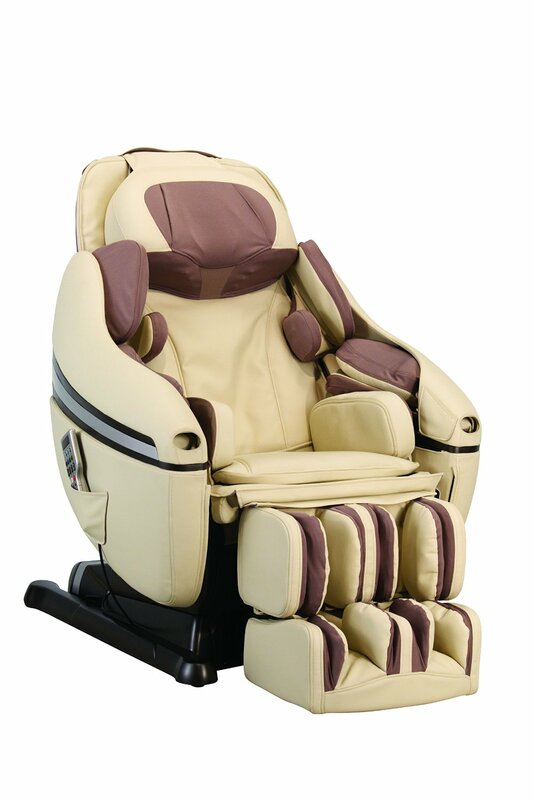 Inada has always been one of the best massage chair manufacturers with complete customer satisfaction. Power along with style is what the products of Inada have been from their dawn. However, some products of Inada are the best inventions for mankind and this product is surely one of them. As much as the cost goes up for this product which is $8,799 the demand for more does too. Only a few stocks are available often when you go online to buy this massage chair. The patented body scanning technology locates the shiatsu points of the body automatically and provides the most accurate massage with variable intensities according to the tenderness of different points in our body. Each massage session is customised automatically according to different body sizes and shapes by the scanners to provide just the right massaging pressure to all the users. The option of youth massage session is available in this massage chair which gives tender massages to the younger ones likes children along with tough yet comfortable upholstery to avoid the scratches out of their intuitiveness. Over 1000 possible manual combinations to customise a massage session as you wish with the latest sleek smart phone pocket. Infrared lumbar and seat heating features induced with the latest heat sensing technology to manage the body’s heat and provide a soothing effect accordingly to give the ultimate relaxation and comfort. The figure 8 motion balances the body weight and provides twists and inward and outward releases to melt the sore muscles away. The coverage points of the massage chair are enough to let the chair adjust and identify every kind of user body and manage to provide the most accurate massage with intensified massage sessions. When it comes to such a huge chunk of money going away, everyone desires for the most out of the product they buy. This massage chairs amazes with the number of features out of which a lot are left unused by the user due to no requirement of it. The smart phone pocket is a great deal at this stage of modern world as no person likes to stay away from their phones anymore. But, the heating technology sadly does not identify your smart phones presence leading it to heat up with the heating technology of the chair by the time the massage session is over. The modes of youth massaging are just right but when it comes to children, they prefer being intrigued by the buttons more than they love to stay calm during the massage session. So, a child lock features would have been a great save for the parents and elderly which is missing. The shipping charges are extra apart from the huge amount of money you spend on buying the chair which is a little discomforting as most of the massage chairs above $5,000 are provided with a free delivery along with installation, assembly and a brief guide. If you have enough money to care about pleasure and relief more than spending it away, this massage chair is the best one to choose from the ones falling in this category. It has all you need to give you the best massage of the life time for the rest of your life. Just be aware when you keep it in touch of the children as there is no child lock and keep the smart phone not much in the smart phone pockets of the massage to avoid unnecessary heating. Otherwise the chair does all one can desire for.